“As a species, we do not get as much sun exposure as we used to, and dietary sources of vitamin D are minimal.” – Dr. Edward Giovannucci, nutrition researcher at the Harvard School of Public Health. When I first started experimenting with nutritional therapy and my own health, vitamin D was one of the first things that popped up on my radar. Around the time my sister was diagnosed with two autoimmune disorders she also found out that her vitamin D levels were incredibly low. She began taking vitamin D supplements orally and was encouraged to be out in the sun as often as possible. Once we started digging deeper we realized just how important vitamin D really is and how many of us are probably deficient but don’t know it. Vitamin D is a fat-soluble vitamin. It is found in food, but also can be made in your body after exposure to ultraviolet rays from the sun. Vitamin D comes in 2 forms: D2 and D3. D3 is produced in the skin in response to sunlight (UVB) or can be obtained from animal sources in the diet. D2 can only be acquired from a few plant sources. The major biologic function of vitamin D is to maintain normal blood levels of calcium and phosphorus.Vitamin D aids in the absorption of calcium, helping to form and maintain strong bones. It promotes bone mineralization in concert with a number of other vitamins, minerals, and hormones. Most Of Us Are Deficient! According to Dr. Mercola, 80-90% of Americans are probably vitamin D deficient. Those with the best vitamin D status live in Hawaii and rural regions of the southwest, which have the highest UVB radiation in July. Those with the worst vitamin D status are those with darker skins and those who live in Alaska and urban regions of the northeast. Nearly all Americans are vitamin D deficient in winter/spring when there is not enough UVB reaching the surface. Plus, we all pretty much sit in front of computers indoors allllll the time. I should know, I’m a designer AND a blogger. A Vitamin D deficiency has been linked to poor bone health (osteoporosis), cancer, diabetes, heart disease, arthritis, infertility, PMS, fatigue, depression, SAD, autoimmune disorders, obesity and syndrome X. Studies also show that if your vitamin D levels are low, your chances of catching the flu or a cold increase dramatically. Vitamin D is key in keeping your immune system up! If you can keep your vitamin D levels up – there’s no need for the flu shot (which we’ll get into in another post). The only way to determine one’s levels is though blood tests, which can be ordered through a physician or nutritionist. The Vitamin D Council states that our bodies use around 3,000 to 5,000 IU per day which is far greater than the 600 IU as recommended by the U.S Food and Nutrition Board. Many experts comment on how much the government errs on the low side (like with most recommendations). SUN!!!!! : Exposure to sunlight is the most important source of vitamin D (D3). 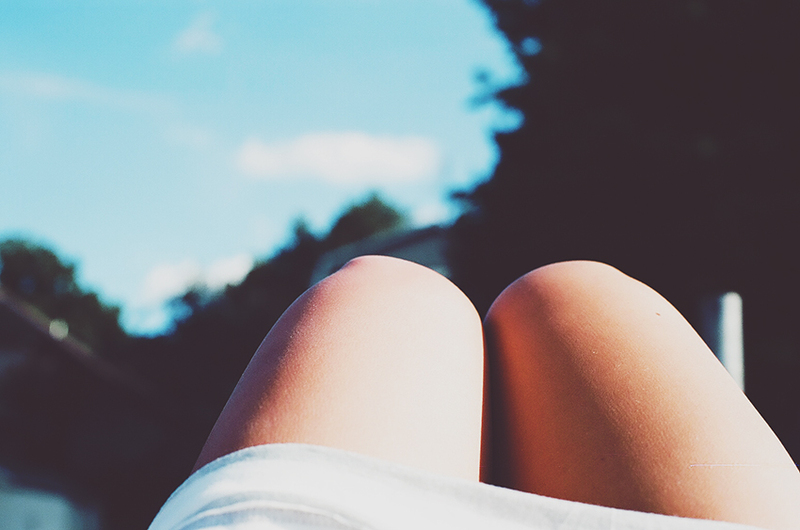 Ultraviolet (UV) rays from sunlight trigger vitamin D synthesis in the skin. In cities that experience longer winters (ahem, Columbus), the average amount of sunlight is insufficient to produce significant vitamin D synthesis in the skin from November through February. Sunscreens with a sun protection factor of 8 or greater will block UV rays that produce vitamin D. This doesn’t mean you should sit out on the beach slathered in SPF 8 for a full day. It actually means you should go outside WITHOUT an SPF lotion for 5-10 minutes to get a significant amount of vitamin D. The sun is not evil! You just can’t abuse it! SUPPLEMENTS: Beware of over-the-counter vitamin D supplements. They usually contain a soy carrier which mimics estrogen in women. NOT good. Make sure you’re buying a high quality supplement. I use Pure (only purchased by healthcare professionals…thanks mom!) but I would recommend Dr. Mercola’s vitamin D spray. It absorbs better than a dry pill. FOOD: You cannot get enough vitamin D just from food. Milk only contains about 400 units and fish oil usually contains vitamin A (which you don’t want too much of). Essentially fish, milk and orange juice are your best bets but finding quality sources is becoming increasingly difficult due to mercury, lactose intolerances, sugar and the processing of milk. Here is a list of natural sources in units. Avoid fortified foods like cereals, margarine and milk. According to the doctors featured in this NYTimes article, if acquired naturally through skin, the body’s supply of vitamin D has a built-in cutoff. When enough is made, further exposure to sunlight will destroy any excess. Not so when the source is an ingested supplement, which goes directly to the liver. It is very hard to reach such toxic levels. Healthy adults have taken 10,000 I.U. a day for six months or longer with no adverse effects. I, personally, take 5,000 units orally during the winter months and (if anything) feel SO much better. I started taking vitamin D supplements and exposing my bare skin to sun much more regularly in 2012 and I never got a cold or the flu. If you knew me years ago – you would be shocked. I regularly got the flu during the winter and a sinus infection both in the spring/fall. You probably aren’t getting enough vitamin D.
Rely on sunlight, natural food sources and then supplements.